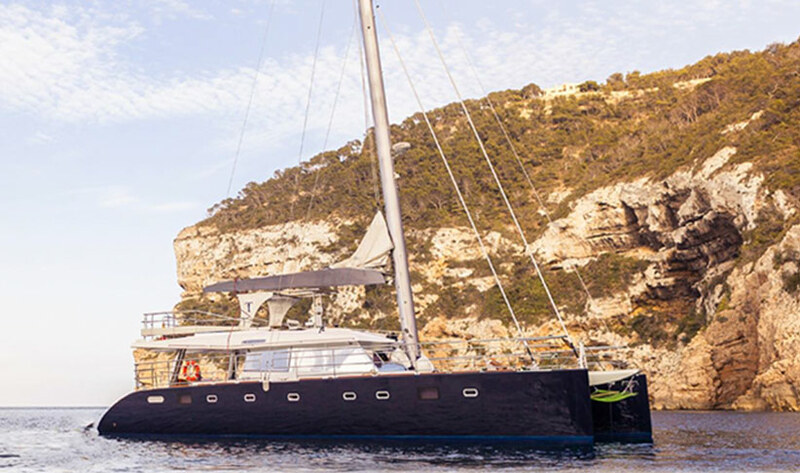 The Sunreef 62 Z benefits from a shallow draft, allowing you to experience even the most shallow of bays and gain close access to beaches of Ibiza and Formentera. 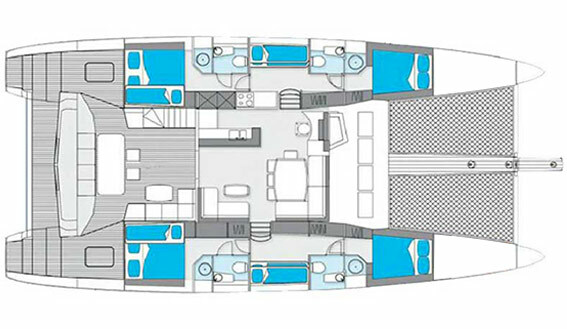 The interior is spacious and light benefiting from a total refit in 2015. 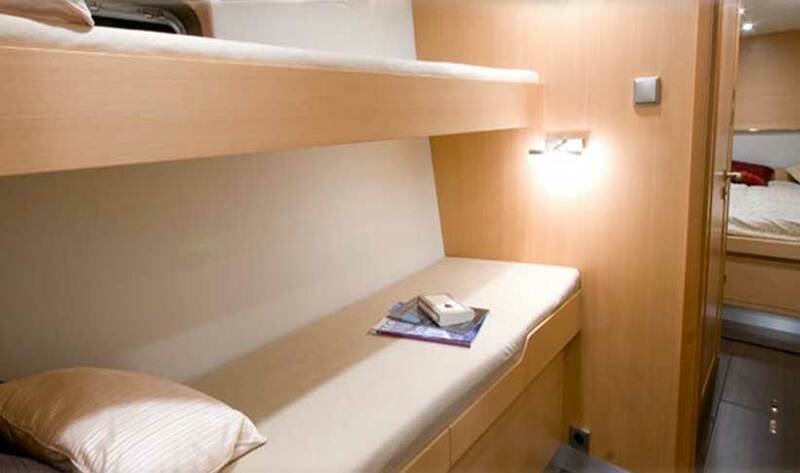 There are 4 ensuite cabins plus 2 double bunks situated in the corridor and all en-suite bathrooms have separate showers. 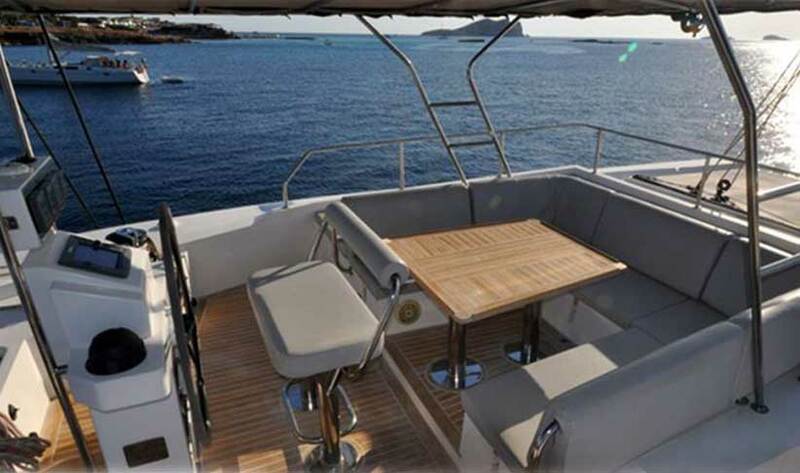 On deck there is plenty of room to soak up the sun or seek refuge in the shade beneath the fully covered flybridge and enlarged bimini. 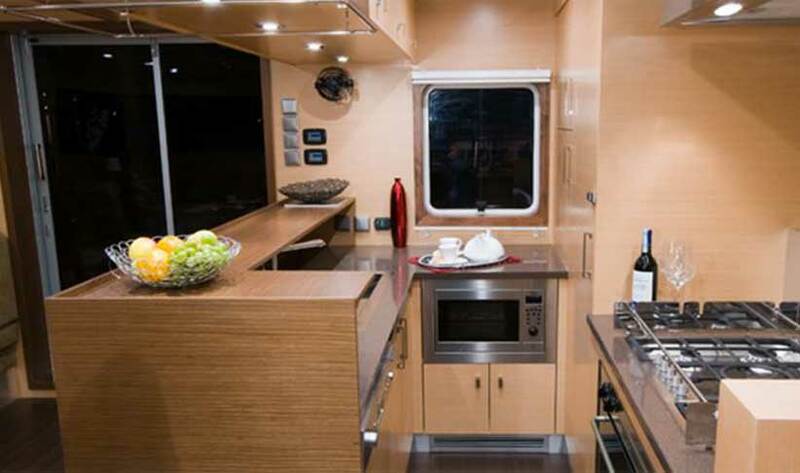 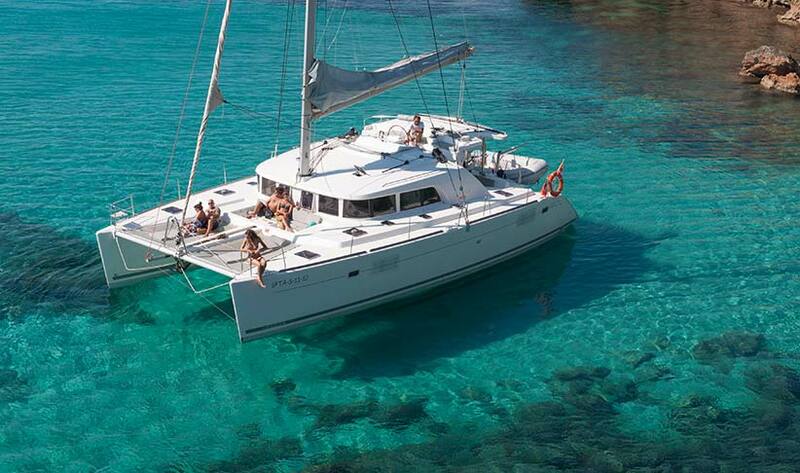 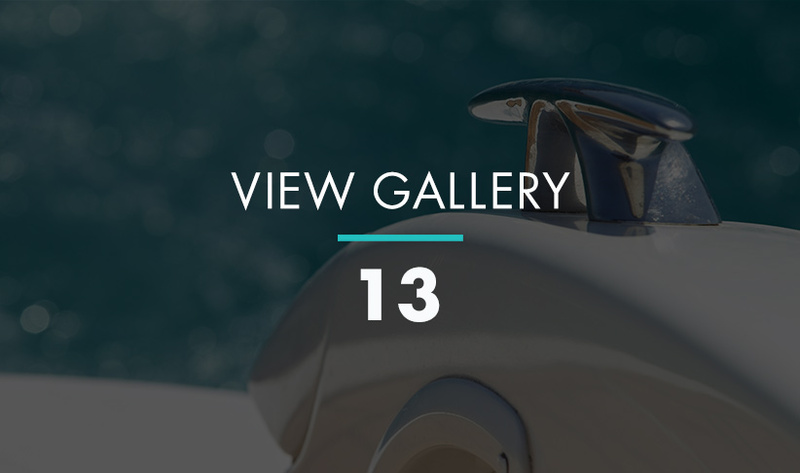 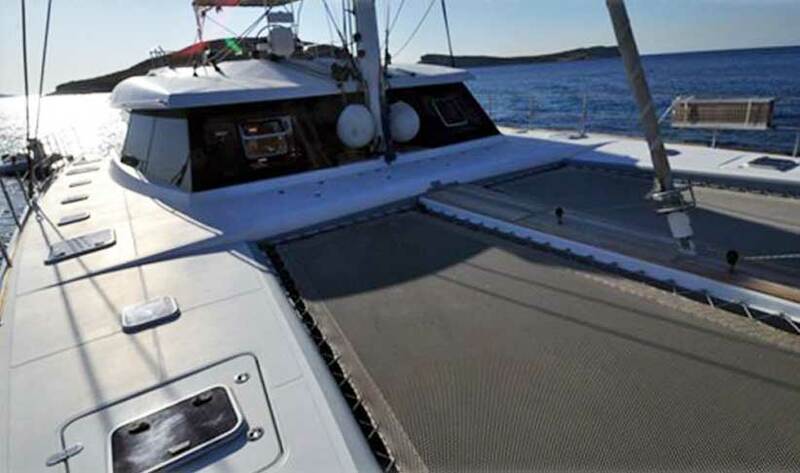 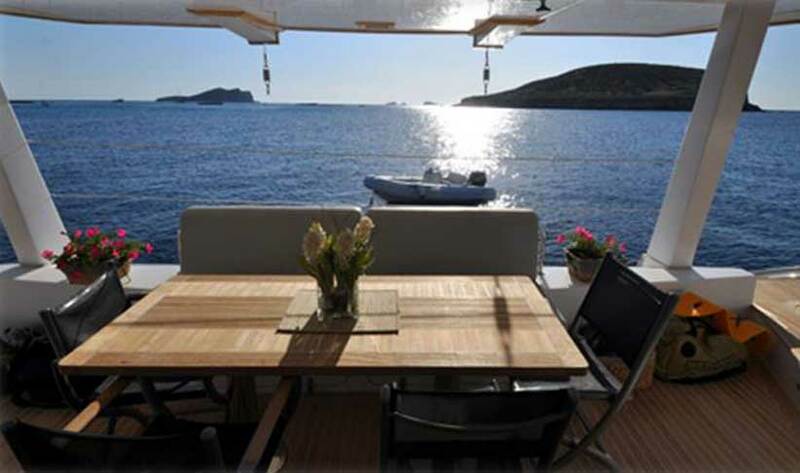 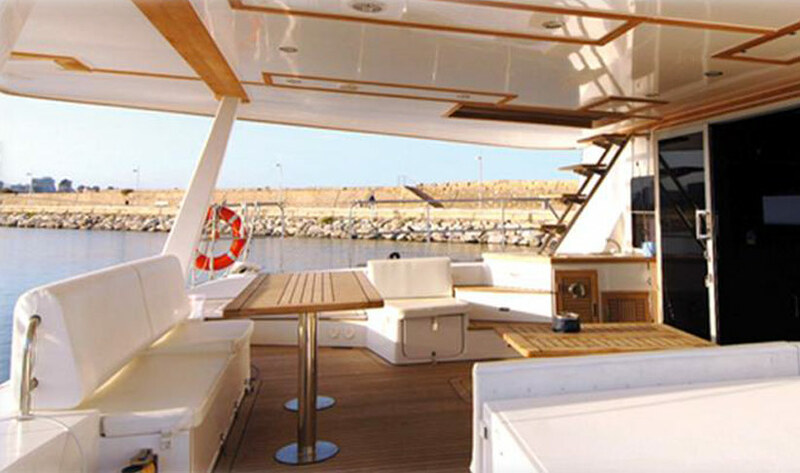 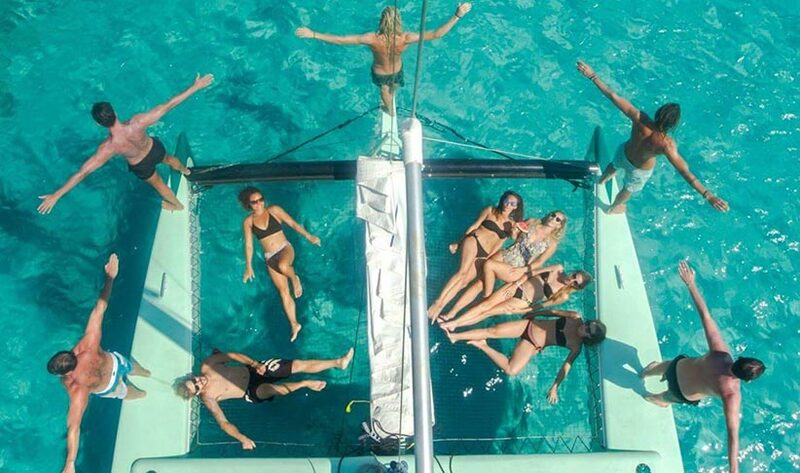 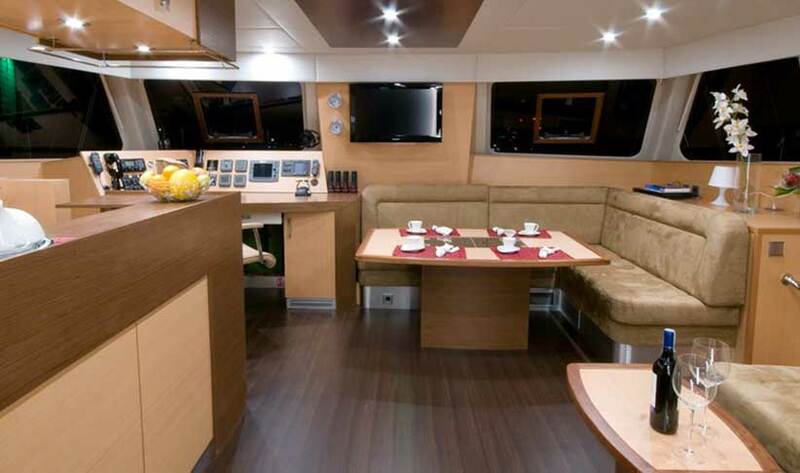 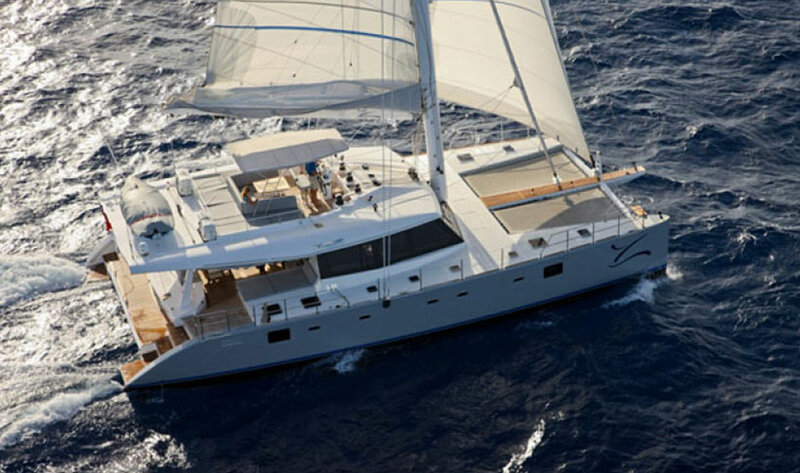 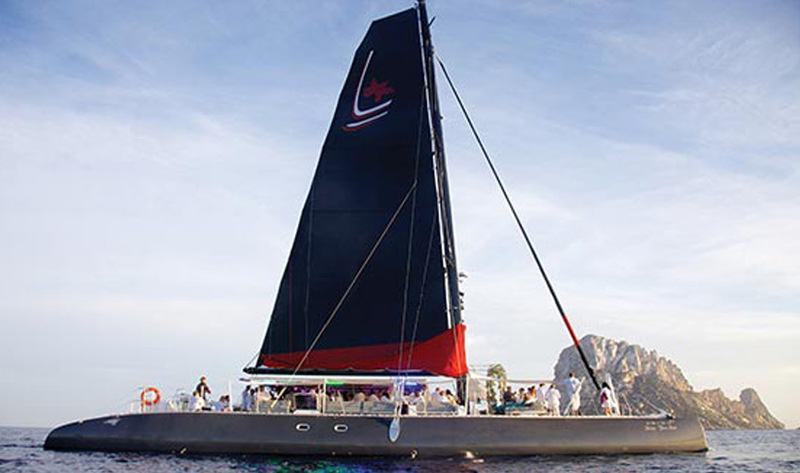 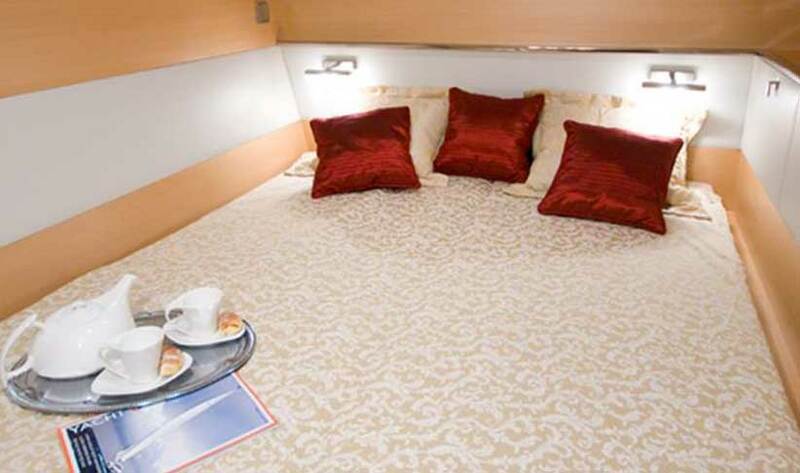 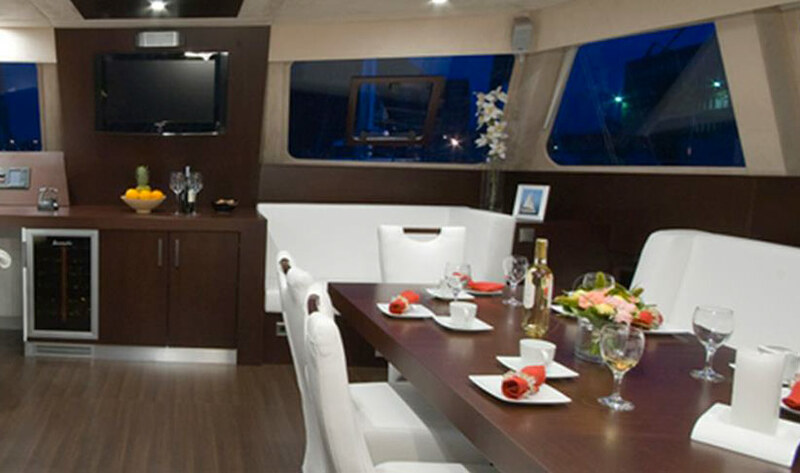 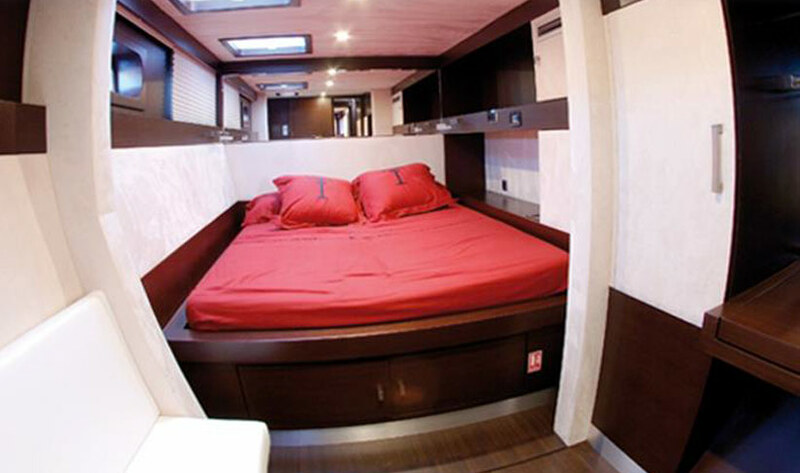 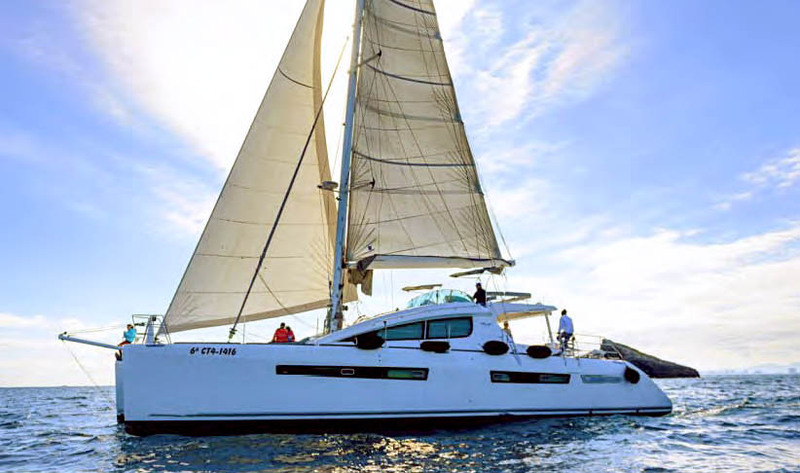 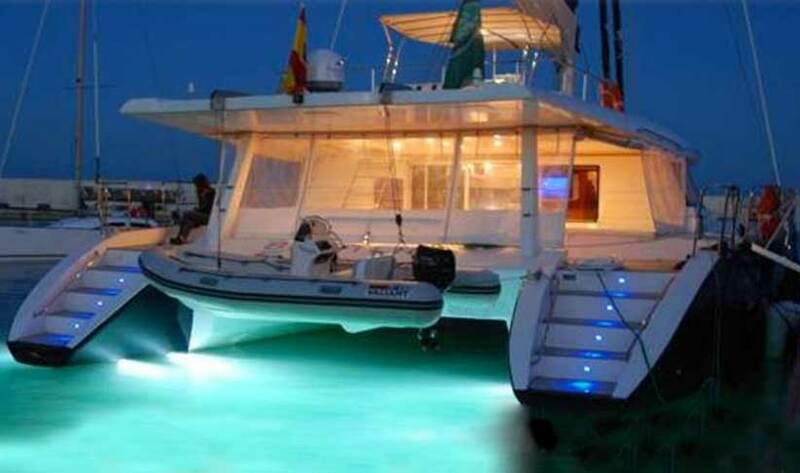 This catamaran comes with a skipper and optional hostess, ensuring you can fully relax without a care in the world.